Item number 2878/58 from the MOA: University of British Columbia. 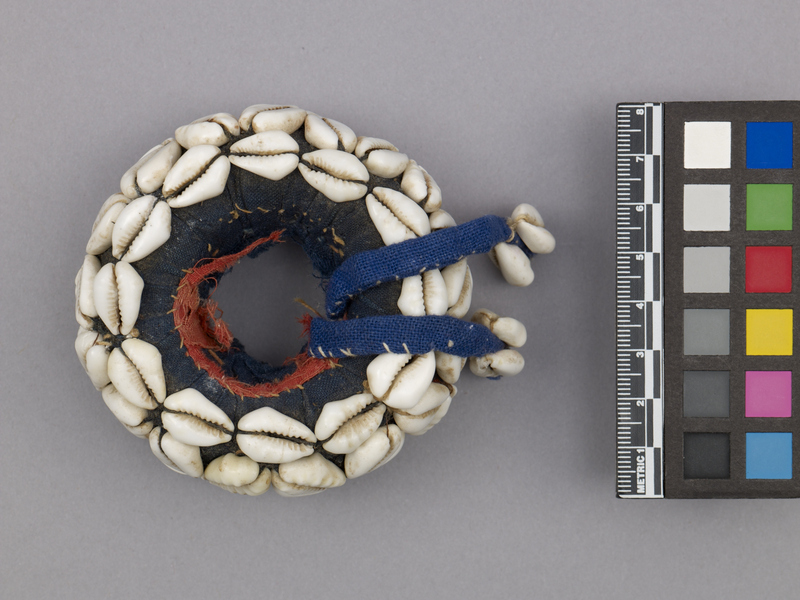 Small, ring-shaped cushion decorated with white cowrie shells. The inside core of the carrier is filled with grass which has then been covered by a heavy blue cotton and stitched tightly together in order to retain the circular shape. On the outside of the carrier there is a repeating quatra-foil pattern made from cowrie shells. 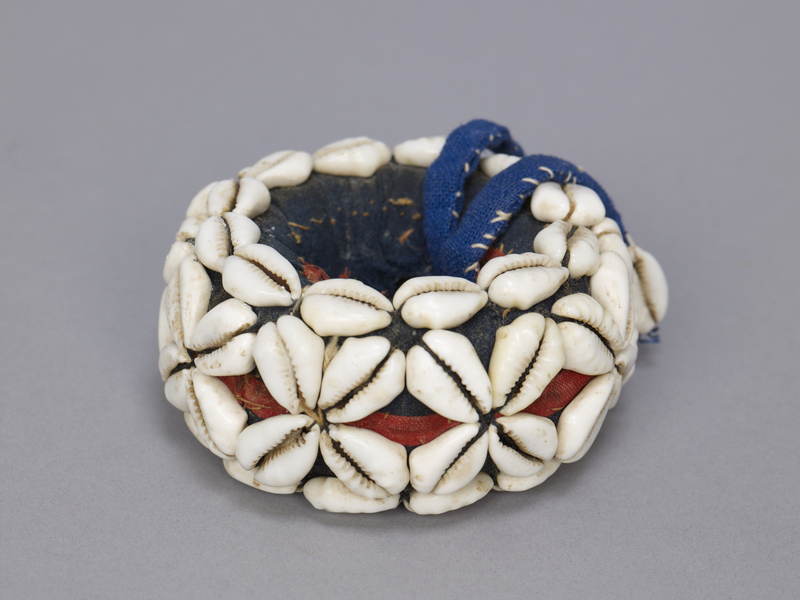 The top and bottom edge is trimmed with a circle of cowrie shells sewn end to end. There are two tassels made of folded and sewn blue cotton that are sewn on to the inside of the carrier, each with a single cowrie shell sewn to the end. Around the inside of the carrier there are remnants of a red piece of cloth which has been worn away in several places. This traditional Mutwa pot carrier helps distribute the load for women carrying heavy objects on their heads. It is a common tool used throughout the Kutch District and beyond. In the cities, women carrying loads such as building materials use these items, but in the villages where this piece comes from, the usual loads are heavy brass water pots. Sometimes these pot carriers are simply made from twisted straw and sewn cotton, but as with this object, often village women decorate them by sewing on beads or shells in decorative patterns. This piece is covered in cowrie shells that were a trade item from the Arabian Sea Coast.